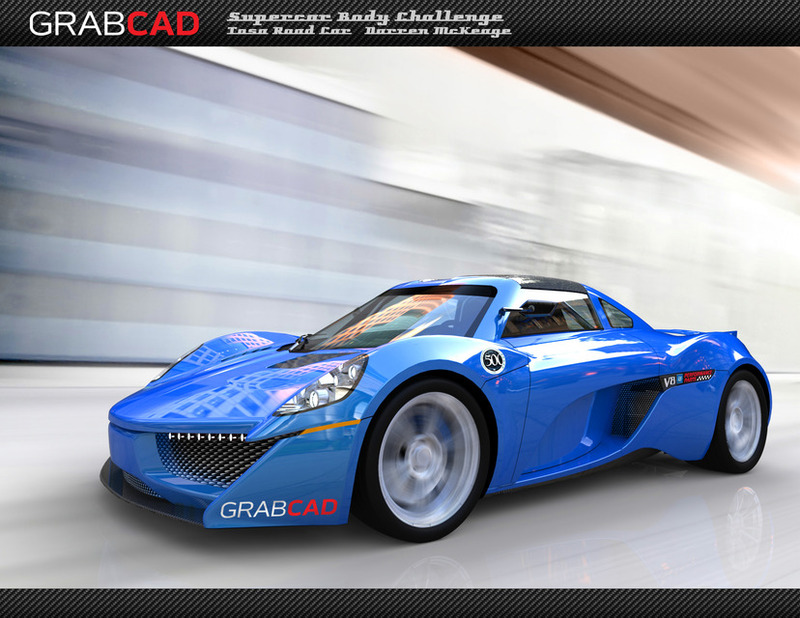 GrabCAD, an online community of over 195,000 mechanical engineers, has announced winners for a hugely popular supercar body design challenge.Engineers from around the world submitted 194 designs in just 40 daysfor the opportunity to win cash prizes totaling $3500. The challenge was organized in cooperation with 500Group, an intellectual property company that engineers, patents and licenses new technologies to industry with total worldwide sales currently in excess of $420m. 500Group and GrabCAD developed the challenge to create a supercar body for a chassis that is currently undergoing testing in the UK’s “F1 belt.” Developed under a General Motors special-projects supply agreement, the car chassis incorporates all GM performance parts and feature the GM V8 line of E-Rod LS3, LS7 and mighty 638hp supercharged LS9 engines.The car is scheduled for a 2013 launch. GrabCAD is the largest online community by, and for, Mechanical Design Engineers. Whether an engineer is looking to share their talent and designs with the world, a company is looking to crowd-source solutions to their toughest design problems or is in need of contracting directly with an engineer for ad-hoc design work in lieu of a full-time hire, or if anybody simply wishes to download from our extensive catalog of free models, GrabCAD brings the power of the web to all mechanical design needs. Harnessing the power of crowd-sourcing in sensitive design areas can yield many, many different nuanced approaches to any engineering or design problem. The customer has the benefit of harvesting many surprising ideas that can combine to make a vastly superior final product, in either performance or safety, as compared to any small team or individual engineer.